Being a stay-at-home dad has a lot of thinking to do. No. Not that type of thinking. It’s not about how to hit sales target. Nor is it about using blackhat techniques and NLP to close a deal. But questions revolve around what to feed the family. I admit packing a lunchbox can be a bit of a chore. I always come to a mental gridlock when figuring out what I want to let J to bring to school for snack. It’s not as easy as I want to strike a balance between time and eating healthfully. I don’t want to spend the entire morning to prepare it. Neither do I want to take the easy way out (read: buy) as most outside food is unhealthy. I want the best for me as well as for J. My requirements are simple: healthy snacks in the shortest time possible. The best is no cooking is involved. Call me lazy if you want. The usual stuff most children bring to school is not as healthy as it should be: pau (Chinese steamed buns), sandwiches, bread, sausage, biscuits, jelly, etc. 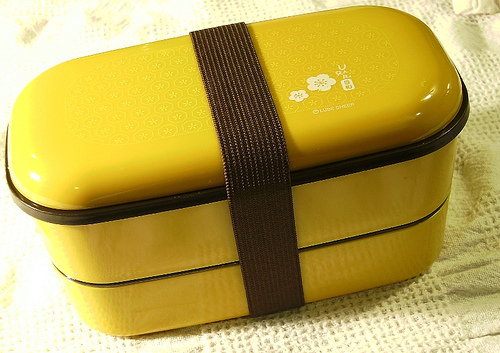 I always look for ideas and recently I simplify the process of preparing lunch box for J. Just yesterday, I let J take some carrot sticks, cucumber sticks, raisins and dried apricot to school. Nothing complicated. No-cook “recipe.” You can whip up this in no time. And today, after soaking chickpeas / garbanzo beans (kacang kuda in Malay) overnight, I steamed them for 15 mins. Voila! Another healthy snack ready to go. Back to the snack. On top of that, I toasted some peanuts in the oven. And I also prepared cut starfruit. All in all, for today’s snack, J will be having chickpeas, roasted peanuts, and starfruit. Even though this took more work than yesterday’s, but again, it’s still simple and healthy. Sometimes you just have to break from the conventional mould and think out of the box. Healthy snacks might not be necessarily difficult to prepare. Just need some rewiring of the brain and thinking, I suppose. P.S. If you have been feeding your children the way most people do, it’s time to stop and examine if you are doing the right thing. I share in detail how I ditched the “normal” way of eating (which I thought was the way) and opted for healthy eating in my book The Nonconformist’s Guide to Parenting. What you feed your children now will have a HUGE impact on their future health.